AgriSmart, Inc. is a sustainable agriculture impact investment set to begin the generation of high yields for investors in the next 90 days while also doing much social good. 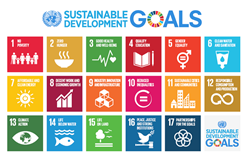 The startup, a joint public/private partnership with Côte d’Ivoire, is prepared to help Côte d’Ivoire take a lead role in the realization of multiple Sustainable Development Goals in Africa while turning a significant profit for everyone involved at all levels of the organization. The formula for success used by AgriSmart is an inclusive business plan that puts people first seeking the advantageous for all involved. AgriSmart is introducing sustainable intensive farming and the use of modern mechanized farming equipment, in combination with FDA approved organic pesticide that kills the mosquito carriers of malaria and zika virus. The AgriSmart venture philanthropy business model of catalytic giving based on the ethic of reciprocity includes providing housing to Côte d’Ivoire employees and their families with smart utilities, clean water, and temperature control - luxuries until now known only to the financial elite of the region.